Think they've also just released the park hours too inadvertently. Timeslots are available from 10:00 to 15:45 most days in April, with 10:00 to 14:45 on more off-peak days. With an hour attraction, are we looking at 5pm and 4pm closures again? Slots are locked at 13:00 from May onwards as I'm guessing they haven't figured out opening times that far ahead yet. Maybe, but most of April will surely turn out to be extended to 6pm for the rest of the park, I don’t think time slot attractions are quite as flexible, unless in that event they add extra slots but walk-up only. In addition to premium season pass holders, I'm assuming MAP holders will also get free entry to the Dungeon? And does anyone have an idea as to how the pre-booking will work? 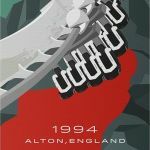 Alton Towers have stated on social media today that "entry is not included in the Merlin Annual Pass", although it's unclear whether that's the case for both Standard and Premium. There will be a backlash if it’s not included... MAP gets you into AT and all other dungeons... Why not AT Dungeon? NO WAY am I paying to go into AT Dungeon as a MAP Holder... Not that I’m overly interested anyway. I wouldn't expect it to be part of the standard Merlin annual pass, but I agree, if it's not part of the premium pass then I can imagine a negative backlash. 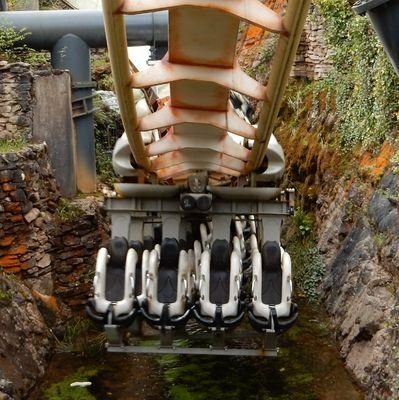 Especially as it is part of the Alton Towers Premium Pass. Alton Towers have stated on Twitter this morning that Premium Passholders will not gain free entry into the Alton Towers Dungeon. I’m surprised by this, given that Premium Passholders get free entry into all the other Dungeons in the UK, including the one at Warwick Castle where PMAP holders simply reserve a time slot. That being said, it’s clear that the Dungeons have been installed as a way to generate additional revenue for the resort, and I wouldn’t be surprised if there is some sort of reversal on this before the season starts. Just saw that. Good will the park had generated is going quickly by the look of the responses. It's just greedy double dipping on ticket costs. Given their last advert talking about the amount of money people will spend next year, rather than what is new and exciting at Alton Towers, I get the feeling management now consider people as walking wallets, rather than guests. I get the feeling management now consider people as walking wallets, rather than guests. I’ve felt like this for many years now. It’s very obvious that guest satisfaction is a very low priority. 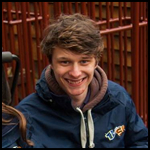 How can it be justified that the Alton Towers Premium Season Pass include free entry to the Dungeon yet the PMAP (which is more than twice the price) doesn’t? Ride Rater have more details on the content of the Dungeons, looks like some Staffordshire specific history will actually be involved - one of the scenes is to be based on the legend of the Burslem witch. It will also be 45 minutes long, around the same time as an average run of House of Monsters. It will be interesting to see what the boat ride is like. How much room will be left? So doing some back of an envelope calculations for capacity of the Dungeons, now we know it's length. There are 5 shows and the boat ride, within a 45 minute attraction. So that's an average of 7½ minutes per scene, including transition time. Bookings are in 15 minute intervals. With 7½ minutes per scene, everyone booked at a particular time should have seen two scenes before the next booking slot begins. So at most we can expect each booking slot to contain two tour groups, who will visit each scene together. That is to say, a group of people will be let into the Dungeon every 7½ minutes. Next, how many people could we expect per tour group? Would 40 people be about the size of other Dungeon groups? With 40 per tour group, released every 7½ minutes, we have an approximate capacity of 320 people per hour. On the Saturdays in March and April, slots are available from 10:00-15:45, so 6 hours of slots. That would give 1,920 people per day, based on the estimated group size. In comparison, the highest capacity rides at the park can get 1,600 per hour. On a weekend I would expect the park to have over 10,000 people in it. Given we know the attraction length, number of rooms and booking interval times, I'm reasonably confident they will be letting groups enter roughly every 7½ minutes. What's less certain is the capacity per tour group. But say we doubled the number of people per tour group to 80, we now have a daily capacity of 3,480 people. I honestly can't see the group size going above that, as it would be overly crowded in each scene and take a significant amount of time to move that many people between scenes. I guess the story here is, that the entrance price is perhaps less to do with the park clawing some money back, but rather it knowing that the capacity will be so dreadful that they will need some way of limiting the number of people who use it. A regular standby line simply wouldn't work. Whilst letting Merlin passholders in would probably flood the available slots. I’m pretty sure that Blackpool and Warwick Dungeons have no more than 20 in a group. Because the sets usually aren’t very big to give a slight claustrophobic feel and it feels more personal with the guests and the actor. Having 40 or even 80 people in a group would cause utter chaos. Assuming that the Charlie boat ride will just be rethemed in some way, there would be plenty of space where the initial queue line, the elevators, batching area, the backstage area and old Charlie shop were for the scenes they want to add - which tend to be relatively small anyway... I suspect they'd even have space for future Dungeons expansions too... I also think, based on London, that the groups would be between 25 and 30 people.. I think this is quite different to the other dungeons with this being in a theme park with a lot of people. It'll have to contain larger groups because of throughput. The other dungeons aren't in as high demand so can make the groups smaller. Alton have to compromise somewhere to make it fit for a large theme park and they will also have complaints if you don't manage to get a timeslot on a brand new ride that already has an upcharge. Please! No more IP's Thorpe! I'm begging you! Are you a scoundrel at heart? When you walk into a room, can the tension be cut with a knife? Do your friends often say that you can’t be trusted? Do you even have any friends at all? This is a truly unique opportunity to join the team at the Alton Towers Dungeon, a brand new attraction launching at Alton Towers Resort this March. This specially created role will see the appointed individual be responsible for ‘atmosphere balancing’ – countering guests’ enjoyable experience with outrageous behaviour in order to create an inhospitable and tense environment. To the wrong candidate, this could be the worst job imaginable. To the right candidate, one who displays traits of repulsiveness, who revels in being mischievous, and who has a penchant for the dark side of life – this could be the best job in the world. Does this sound like it could be you…? Previous public-speaking experience desired but not necessary (e.g. TV and/or radio presenting or engagement in politics). An adequate level of fitness and stamina is not required; an unpleasant appearance is a bonus. Due to the nature of the role, successful candidates will take enjoyment from tormenting their guests and will be unapologetic for their actions. They may have strong opinions, but their mood will not be stable. The role is short-term and part-time, focusing initially on the opening weekend (March 2019) with a potential to extend throughout the year across weekdays, weekends and bank holidays if successful. Alongside the opportunity to inflict your unique personality on guests from across the nation, the role also comes with a great benefits package including a Lifetime Premium Season Pass*, access to regular healthcare advice and legal counsel. *valid for 10 years from job start date, or until death of applicant. Whichever is chronologically first. I have to say, I'm a little disappointed that this is what they're investing in, if it's going to be anything like The London Dungeons. The theming and stuff is not very "magical". It's raw and dark, black and red....But you don't have to be raw to be dark. You can be dark yet colourful, dark yet atmospheric. I really hoped for something more imaginative, more creatively 3 dimensional....I'm having trouble describing what I would like to see, I apologize. I also feel like Alton Towers over-all atmosphere is becoming darker and darker, which kind of saddens me as it used to be about the magic. I guess it comes down to the fact that good dark rides are not just dark. They are darkness and light woven together with creativity coming from both Heaven and Hell, where as this is gonna be raw darkness from start to finish. If you take Duel/The Haunted House for example, (well, actually, it's in a "fallen" condition but) all the light's colour palette, the UV, the original score, the ride car design, the ornate beauty of some of the theming; that's all light, albeit fallen. You take that and you mix it with darkness or you make it dark, you make it fallen by putting dust, damage and cobwebs on it and *that* is what makes good theming and a good dark ride. I don't just want to be yelled at in the pitch dark. I want to see creativity, I want to see original special effects and illusions. Still definitely won't be paying £5 on top of park entry for this!